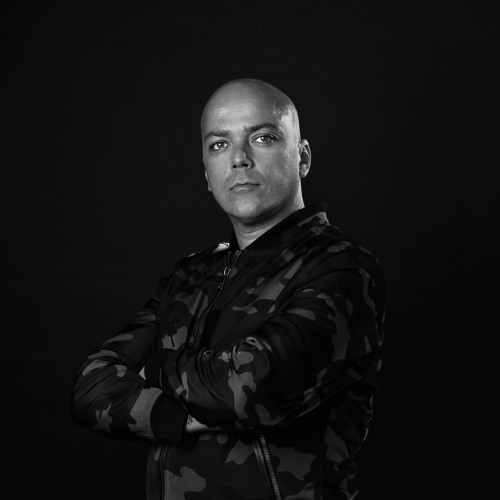 DJ Link (Portugal) is one of the leading DJ/producer on the techno scene. By delivering upbeat techno and amazing musical experiences, DJ Link wows dance floors with every set..... Besides being one of the most requested DJs in Portugal, DJ Link has become a crowd favorite in Spain where he often performs at topnotch venues and events like CODE (Fabrik), Electrosonic Festival, and many others…DJ Link also often performs in the UK, Ireland, Slovenia, Holland, Ukraine, France, Hungary or Brazil, receiving praise from fans and promoters on every occassion—always leading to repeat gigs. In Brazil, He is the best known DJ from Portugal, and often performs in famous clubs such as Clash, De Puta Madre, A Lôca and many others... DJ Link has released tracks remixes in Pornographic Recordings, Ying Yang, Naked Lunch, Soulaccess, Techhead, Beat Disaster along with the best producers such as Hertz, Valentino Kanzyani, Dave The Dummer, A.Paul… His own label, "Amigos Recordings" is one of his main projects. Now on its 10th release, "Amigos Recordings" has released tracks and remixes from artists such as Preach, Raul Mezcolanza, A.Paul, Dave the Drummer, Wehbba, Peppelino or David Moleon, and of course many of the best tracks from DJ Link. "Amigos Recordings" is already considered one of the best techno labels worldwide, having each release on the sales tops and tracks always charted by the best Top techno DJs..... DJ Link is also the owner of and guiding force behind Techno Inside (www.technoinside.org), and hosts a radio show called "Audio Link", broadcasted every Saturday at 18 hours GMT from Livesets Radio (www.livesets.com). Audio Link is widely-considered as one of Livesets.com..s best weekly broadcasts, and is now on its 6th season... DJ Link is currently producing several records to be released soon which are sure to be amazing. In the near future, DJ Link will release a fantastic EP on Amigos Recordings, as well as EPs and remixes on the most important techno labels. International artists who regularly use DJ Link’s tracks in their sets include DJ Murphy and Cristian Varela amongst many others. DJ Link just finished another fantastic South American tour with outstanding feedback, and will be playing in Spain, the UK, Portugal and again in Brazil on the next months.